What is it that makes grown adults go all gooey over chocolate chip cookies? Plain, humble and based on the most basic of ingredients, they are nonetheless held on something of a pedestal by people all over the world. Pop those three simple words into Google and you’ll return no fewer than 32 million pages, while professional chefs, journalists and home bakers alike appear to be on a constant quest to find the perfect recipe. Perhaps it’s sheer simplicity that gives the cookie its clout. Anyone can make at batch in their comfort of their kitchen, and even if your technique and timing is little out, it’s hard to go completely wrong with what is essentially a slab of chocolate, butter and sugar combined. The nostalgia element is also key – mere mention of a chocolate chip cookie conjures up images of wholesome fun, of sunny afternoon snacks, comforting kitchens and reaching into a giant all-American fridge-freezer for that vital glass of cold, cold milk. Of course for me this nostalgia is little more than a notion. I’m British. Cookies featured few and far between for someone growing up in a country where the biscuit reigns supreme (outside the confines of the little loaf household that is – I’ve explained before than my Mum was always an advocate of anything that came in plain fruit form over the stodgier kinds of snack available). But I think that’s the point. It’s this feeling of warmth and comfort that I want to buy into. And although there’s always a time and a place for a good British biscuit, they can slightly pale in comparison to their beefier chocolate chip cousins; a humble home fry set alongside a bowl of Heston Blumenthal’s triple cooked chips springs to mind. Too much has been written about chocolate chip cookies for me to go into any great detail here. I’m sure you already know they were invented at the Tollhouse Inn in Massachusetts back in 1930, that they have been the State’s official cookie since 1997, that the Toll House Cookie is now a recognized term for this type of treat and that the recipe features on the back of pretty much every pack of chocolate chips available. Speaking of which, you’ll notice this is a recipe for chocolate chunk – not chocolate chip – cookies. I may offend some chocolate chip purists by saying that the chocolate chunk delivers a far superior cookie to the simple chip, but we have to be honest here . . . it does. So chunks are key, and lots of them. In his seminal article on the quest for cookie perfection, David Leite cites a ratio of 40:60 chocolate to dough as something to aim for. He also explains how a larger cookie allows for the best contrast of textures – a slightly crisp edge moving through a chewy layer to the soft, sweet middle. Most recipes use a combination of white and brown sugars as the latter adds its characteristic molasses notes to make a moister dough with greater depth of flavour. This is good. And I prefer to cream my butter rather than melt it – which I believe creates a slightly more classic, less crispy cookie – but it’s as much an excuse to play with my brand new Kitchen Aid than based on any more grounded research. A lot has been said about resting the cookie dough, and if you can bear to leave your logs in the fridge for 24 hours you will achieve a better bake. However it’s a baker of very strong will who can wait until the next day without at least trying the fruits of their labour, so if you’re desperate for a taste, pop a portion of your batch in the freezer for two hours before baking and you’ll get a similar, if not completely perfect, result. The recipe below is a slight variation on the classic. I couldn’t decide between standard chocolate chunk cookies and their richer variation, a double chocolate delight with cocoa darkening the dough. So I did what any sensible cookie monster person would do; I made both. A simple cookie dough studded with milk chocolate chunks and chopped pecans is swirled into a chocolate dough with white and dark chocolates to create this pretty marbled effect. Aside from an extra bowl for the second dough, there’s no extra washing up as you cream the butter, sugar and eggs all at once then divide between the two mixes, so it really isn’t much extra effort. I made half my mixture into marbled logs, then rolled the rest separately, meaning I got three different types of cookie from a single baking session, although I have to say that the marbled version is my favourite of the three. Make the dough this afternoon and you’ll have cookie dough ready to bake in time for tea tomorrow. It’s a small amount of time to wait, but I promise it will be worth it. Get yourself two equal sized bowls. Divide the flour between them equally (200g each), then add the cocoa powder to one. Add half a teaspoon of bicarbonate of soda to each, then the extra 1/2 teaspoon of baking powder to the bowl with the cocoa in. Add a small pinch of salt to both bowls and whisk the contents of each bowl separately to combine. In a stand mixer fitted with the paddle attachment, beat together the butter, sugars and vanilla on medium speed until smooth. Beat in the eggs one at a time until thoroughly incorporated. Divide this mixture in two between your two bowls of flour mixture and stir until well combined. Add the nuts and milk chocolate chunks to your pale dough, and the dark and white chocolate chunks to your darker, chocolate dough, stirring until fully combined. On a lightly floured work surface, divide both doughs in half. Shape each of the four pieces into a log about 23cm long. You can wrap and chill them as they are, but if you want to make the marbled cookies, there’s one more step to take. Using a sharp knife, divide each of your logs in half lengthways, so you have eight very long, thin logs. Take one thin strip of each of your two different doughs and push together ( you could also wind them round each other like a sort of twisted plait), pressing the mixture together to create a new log, again about 23cm long. Repeat with the remaining logs, then wrap each individually in cling film, twisting the ends to secure, and pop in the fridge for 24 hours. When ready to bake, preheat the oven to 180 degrees C. Line two baking sheets with parchment paper. Remove your logs from the fridge and slice into disks around 2cm thick. Place them on your prepared trays, about 6cm apart to allow for expansion. They may not all fit on the two trays, in which case cook in two batches, making sure the trays are cool before you start your second round. Bake your cookies for about 8 minutes, rotating trays half way through. Always err on the side of caution, so if you think your oven may be on the hotter side, check them after 6 minutes. The cookies should be very lightly browned in the centre but still soft to the touch when they first emerge from the oven. Once baked, remove from the oven and leave to cool on the baking trays until firm enough to handle, then use a spatula to transfer them to a wire cooling rack. The dough can be kept in the fridge for up to a week, or in the freezer for a month. Once baked, they should last in a tin for up to four days. I defy anyone to make them last that long. I’m adding this post to the Sweet Adventures ‘Death by Chocolate’ Blog Hop – because if this isn’t ‘death by chocolate’, I don’t know what is! Wow, lovely cookies and I love your presentation with the ribbon. A must-try for me this weekend. A chocolate chip cookies is all of the above. And I will have to agree with you:chocolate chunk is chocolate chip on steroids. These certainly do look like they deliver ‘Maximum chocolate impact’! Lovely post once again! I am with you on chocolate chunk 100%. I did my quest for these recently and loved that NY article. I opted for three types of chocolate instead. This combination of two types of dough goes a step further. Kudoos! How good does these look?! I like the idea of marbled cookies with tons of chocolate! Yum. Yum. I’m very impressed at the amount of chocolate you managed to cram into these cookies! Ohhh yum. This is the kind of insanely calorific treat that I generally forget exists, such is my willpower and desire not to be enormous. But now I’ve looked at your pictures, I suddenly think I’d rather be enormous and replete with cookies than anything else. They remind me of my teenage days where my friends and I would buy a mega box of Millie’s Cookies and eat our way through the lot. I’m sure yours are much nicer! Yum yum. I love this post and those cookies look amazing- 2 dough types in one cookie… so smart! I would not be able to wait 24 hours to bake these! Yum! Those look great. I always creamed my butter until recently, and then I stumbled upon a recipe for cookies with brown butter, and now I am hooked. I also throw a tablespoon of bourbon in, just because. 🙂 And I agree- chocolate chunks make a better cookie! perfect for the times where 1 type of cookie just isnt enough. ive just make chocolate and pistachio ones..
Those look awesome! And you can’t go wrong with David Lebovitz! oh woaw, your cookies look gorgeous …. thank you for your recipe ! Such a winning cookie, so decadent! Oh my are those some gorgeous cookies! A chocolate lover’s dream! These look amazing!! I love chocolate chip cookies and am on a quest to find the perfect recipe so will definitely have to give these a go. I am definitely the baker that can’t wait 24 hours to eat my cookies! Oh my god, I believe you when you say these beat out the classic chocolate chip cookies! (And by the way, hoorah for American cookies 😉 But really, these look perfect. I like how you were talking about the brownies vs. blondies debate a while back–this is like the perfect compromise (plus even more goodies) in cookie form! Totally saving this recipe to make. OH yes, these look amazing! I have made triple chocolate cookies before and LOVE the richness! Lovely! 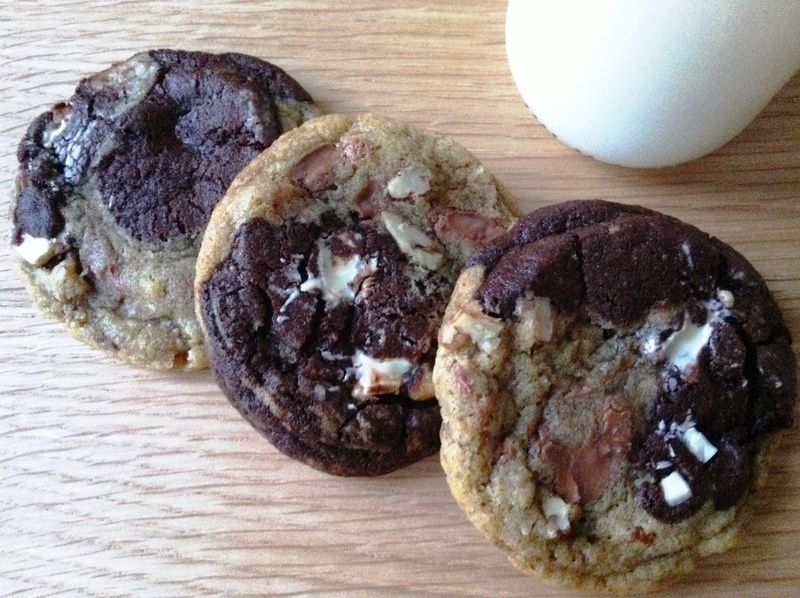 These cookies deserve knighthood – what a fabulously delicious chocolate overdose!!! Oh wow, your chocolate chip cookies look amazing!!!! Love those big chocolate chunks! Just the way I like my cookies. 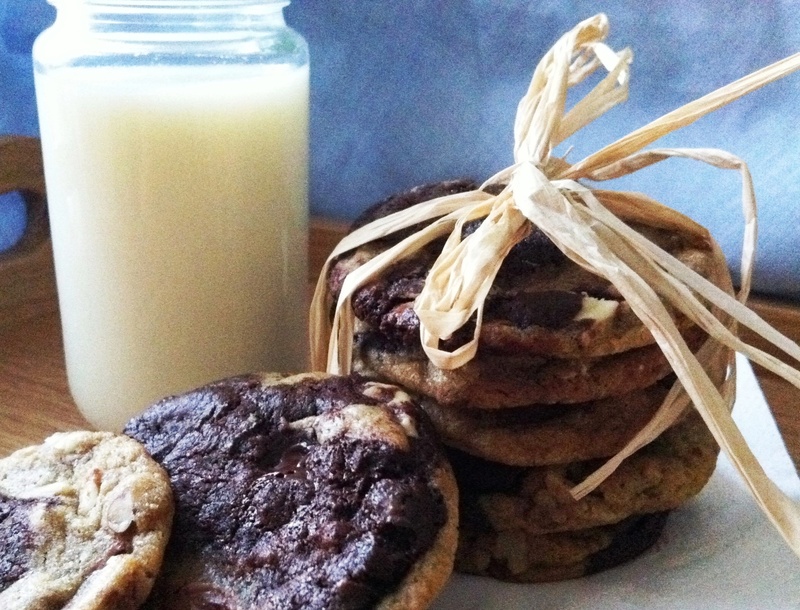 Chocolate chip cookies and a glass of milk… a lovely indulgence! 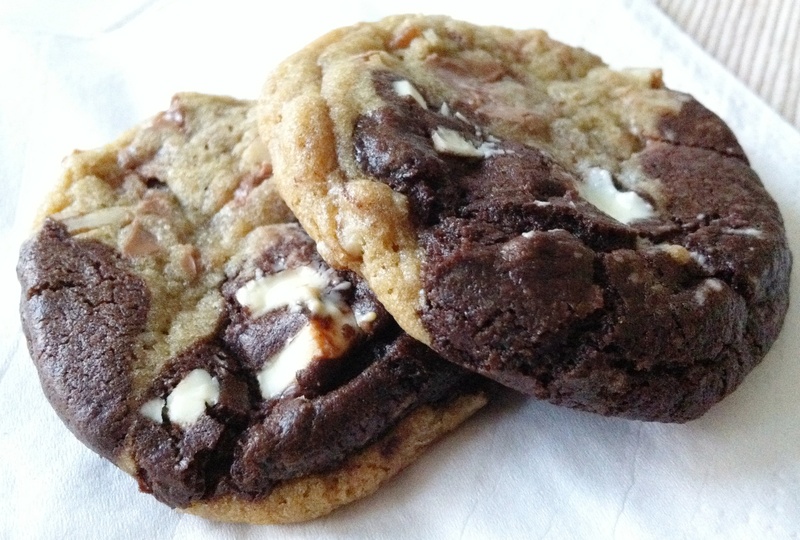 OK, it’s sealed – everything you bake blows me away, These fantastic marbled chunk cookies are NO exception. On my ‘to bake’ list ASAP! Malou – thank you, and do try the recipe, it’s so simple! Trix Fred – that they do! Sadia – the NYT article is great…especially the bit that says all bakeries should have a hot plate so that they can always serve their cookies warm! Movita – I’ll take that as a complement! Ruthie – mmm, chocolate and pistachio sounds lovely. Lottie – I prefer chunks, but they’d still be pretty good with chocolate chips! Laura – glad you like them! Oh Shine On – the NYT article did most of my research for me, but thank you! 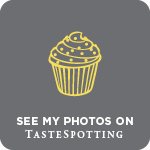 Baking Addict – do let me know what you think! Amy – so pleased you like them. And yep, this gives you the best of both worlds! Jenni – haha, let’s hear it for the cookie monster! Jennifer – chocolate chunks are the best. Lisa – aw, you’re too kind! Dear Lord, what are you trying to do to us!! These look amazing. About 10,000 calories per cookie but somehow they look as if they’re worth it. 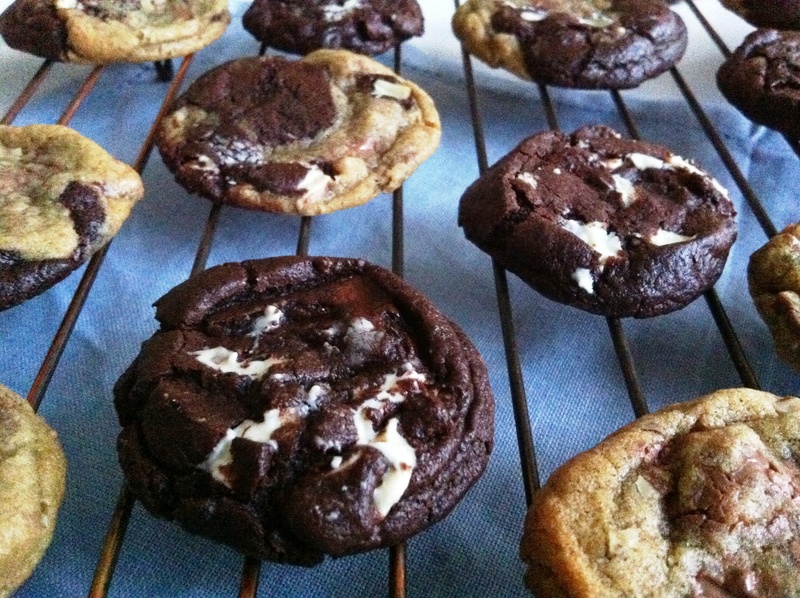 Marbled Triple Cholcolate Cookies have to be the ultimate in decadence. They look absolutely amazing – so intensely chocolatey. Amazing recipe and amazing photos. Am in awe. Yum! These cookies look soo good. I’m just about to bake cookies and now I’m pretty sure I know what kind I’m going to bake. I’ve never seen something like this. Skye – aw, thank you! Russell – I saw swirled cookie dough on another blog recently (although not chocolate flavours) and knew I had to give it a go! Oh my goodness, these cookies just look heavenly! You know, I’m not sure I’ve ever seen a marbled cookie before. I really like this idea! Chunks are fabulous, but I’ve recently become enamored with mini chips. I like that they’re everywhere in the cookie so you get lots of little tastes of chocolate. I should try both chunks and mini chips next. Thanks for the recipe! Bookmarked! I’m totally baking these over the weekend! Those are like cookie commercial cookies! And I’m a sucker for any kind of multi-layered dessert, as my experiments with jello have proven.